Detained "pork barrel queen" Janet Lim Napoles, aparently handed out generous donations to leaders of the Philippine Catholic church, using allocations from the congressional Priority Development Assistance Fund (PDAF), as reported in 2014. It was shown that Napoles issued a Metrobank check to Msgr. Josefino Ramirez for P2.5 million, when the latter was the rector of the Quiapo Basilica, as evidenced by the records of Benhur Luy for May 10, 2007, under cash and check disbursements of Napoles' JLN Corp.
As reported by ABS-CBN's Bandila, Ramirez allowed the image of the Nazareno to be placed inside the home of Napoles whenever she wished for a mass to be held in there. The check for Ramirez came from a PDAF project of Sen. Bong Revilla worth P50 million that was coursed through two bogus nongovernment organizations (NGOs) controlled by Napoles, and in Oct. 16, 2008, P434,451 was used to buy tickets for Ramirez’s travel to Europe. 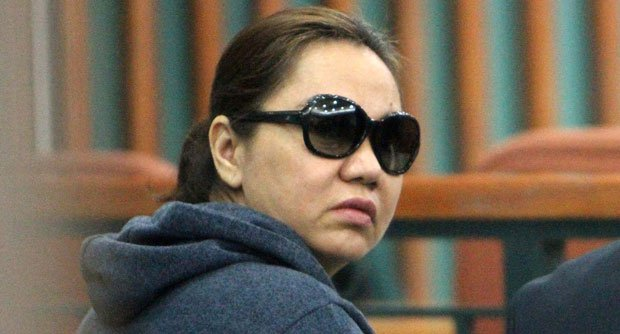 The records also showed that Napoles distributed “stipends” totaling P344,000 on several occasions to what the Luy records named only as “priests/nuns, deacons” from 2004 to 2010. More church leaders were implicated, such as a "Peter Lavin", stockholder of JLN Corporation owned by Napoles, was Rev. Fr. Peter Edward Lavin of the Alagad ni Maria House of Formation. Two checks were issued to the foundation in the amounts of 500,000 and 100,000. Reports also showed that 174,000 pesos were alloted for the catering services of 89 year old Bishop Julio Labayen. The report by Bandila also showed the property where Labayen and Ramirez stayed, which was allegedly owned by Napoles.